One Mom's Moxie: 4 FREE Product Coupons! 4 Winners! I love Honey Bunches of O's...I would love to win that. Honey BUnches any kind. Soft Scub Lemon is the best. I would like the Soft Scrub. I love cereal in general! Life and honey bunches of oats are favorites. 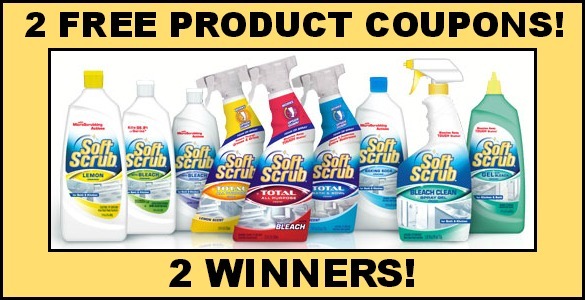 I like soft scrub with bleach for cleaning my kitchen sink, among other things.i would love either! My favorite cereal is Honey Bunches of Oats with Almonds; their new Greek Yogurt is pretty good, too. My favorite cleaner is Scrubbing Bubbles. 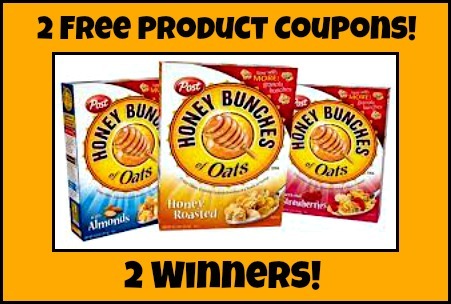 Would love to win the cereal coupon since it is my fave. I eat many cereal types, and with cleaning products, I like to have several different types, so any mess can be tackled easiest.